How about the famous Gaxio FG-82MS? The 28S is a great calculator! 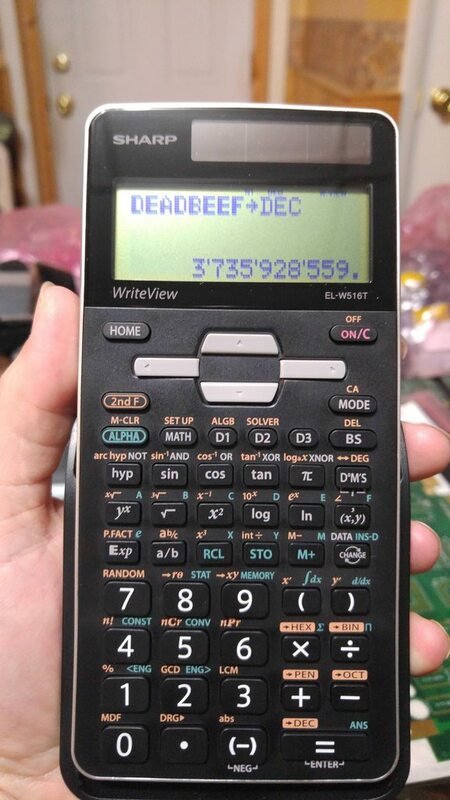 What people seem to be missing is that some Casio calculators have the postfixes like n(ano), k(kilo), M(ega) which makes them very handy to use in electronics. It shortens inputting formulas and makes them easier to verify. The Casio fx-115MS has these for example. Never liked HP or TI calculators. For starters they can't keep up with my typing speed (two fingers) where Casio never has a problem. 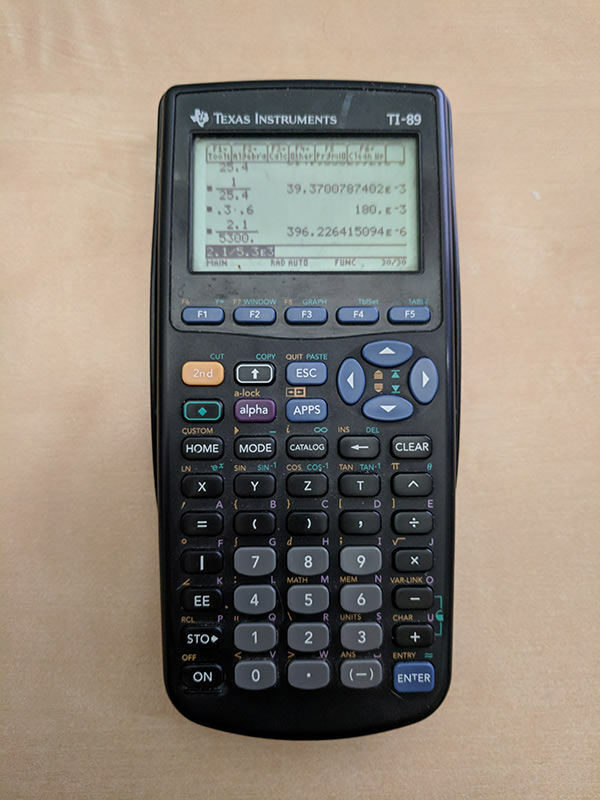 I still have a TI-89 Titanium (teardown: http://www.eevblog.com/forum/reviews/teardown-ti-89-titanium/ ) that I use regularly when doing electronics work. Compared to the TI-83 Plus I used before that, my main complaint is the lack of a dedicated "^-1" button for parallel resistors/inductors and series capacitors. I could have sworn I signed up over a year ago, I even still have the old registration email in my inbox and username and password in my secure account database, so I'm guessing there is some inactive pruning going on every now and then. I never did post until now. Probably won't be posting a whole lot in the near future either, I tend to lurk until I can contribute some new insight, which is rare around these parts, smart people here. I'm a computer science major who wasn't quite satisfied with that line of work. I happened to stumble upon Dave's channel and got bitten by the electronics bug, went back to university to get my electronics engineering degree while at the same time having a job as a working student. I'm not quite there yet, still have a master's thesis to complete next year, but hopefully after that I can get back to actually having a life. (I wouldn't recommend it to anyone: working and going to university in a science or engineering field at the same time, unless you have some real passion and perseverance. At university you are expected to deliver the same quality in your projects and exams as a regular student (who has nothing else to do but schoolwork and partying) while at the same time at work you are expected to deliver the same quality of work as other employees who get to relax in the evening). The reason I'm posting here now, is that my fairly recent European version (about 2 years old) seems to be a bit of a hybrid between the old version and new version Dave reviewed just now. When I first got it, I opened it up of course, because, you know... Don't turn it on, tear it apart... And I did briefly consider switching the electrolytic for a bigger model, but never got around to it. By default, once it's charged, it can easily go 15 seconds without light while doing calculations, it seemed futile to change it, since it needs light to turn on anyway and if there is enough light to turn it on, it'll keep functioning and if the light gets so dim it won't function anymore, another minute or two of calculation power won't save me. 15 seconds buffer time seemed plenty. I made a picture of the inside, but I don't have a great camera, you can clearly see the differences/resemblances though, to the two models Dave reviewed. At home I always have my trusty Casio FX-115 within reach. I have this one since my school days and it was a replacement for the FX-82 I used before this one. That is what my first scientific calculator was. I still have it and use it, but it is retired to desk duty these days. It is quite a bit worse for ware than yours. I might try to get some high resolution pictures of it. Do any Casios offer a persistent ENG mode? upgraded my sharp a while back, $15. I could have sworn I signed up over a year ago, I even still have the old registration email in my inbox and username and password in my secure account database, so I'm guessing there is some inactive pruning going on every now and then. Yes there is. Every now and then the membership database is gone through to do a bit of a clean up. Your photo is actually quite reasonable - you just need to pay more attention to the lighting. On camera flash is not the best for shiny surfaces. I could have sworn I signed up over a year ago, I even still have the old registration email in my inbox and username and password in my secure account database, so I'm guessing there is some inactive pruning going on every now and then. I never did post until now. Yes, a purge of zero-posters occurs occasionally. Given that this forum is fully public and searchable, there is no real reason keep zero poster accounts (which are mostly spam accounts anyway). Interesting. Casio do do lots of weird region specific stuff though. Yeah, it's really just for kicks. Yes, plenty of them, maybe too many to list. They have offered this in many models since the 80's. 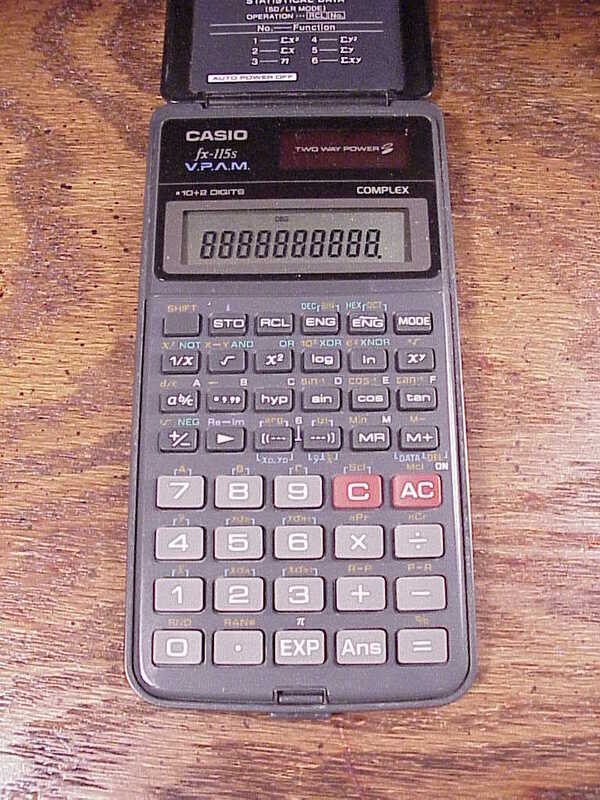 What people seem to be missing is that some Casio calculators have the postfixes like n(ano), k(kilo), M(ega) which makes them very handy to use in electronics. It shortens inputting formulas and makes them easier to verify. Only quicker for negatives and 10^12 or bigger. Except for the dicky battery door that always broke, and it wasn't the fastest thing going around. I used a 28S at uni, still have it. ...And it wasn't a 48SX! 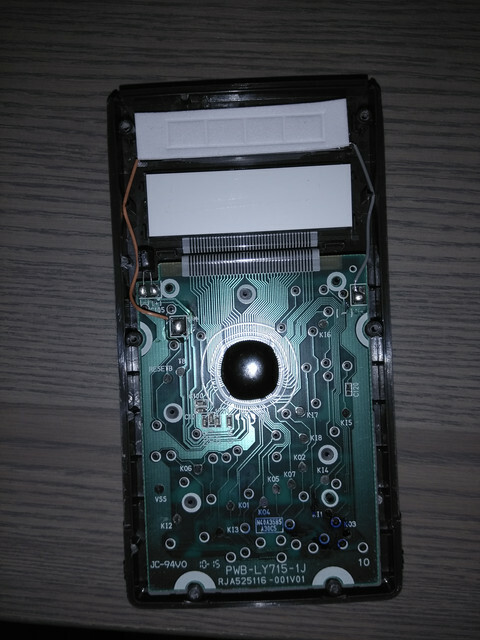 - Ti-89: An offer from a friend if i could repair it and another computer. it is old has 18 years Its repaired and working. - Casio SL-1000TW. Compact, basic ,big 10 digits, dual power easy to type and calculate percentages ( from measurements), has well H/M/S feature for calculating charging times of batteries . A couple of mounths . For daily number crunching I use a HP-35s. RPN is unbeatable for relatively simple numeric formulas. For more advanced stuff, such as equation solving, integrals, differentials and curve plotting, etc. I use my trusty Ti Voyage 200. The QWERTY keyboard is brilliant for a CAS Calculator. Yeah but this is a not VPAM "natural textbook" display calculator, so the only thing that really matters is number of key presses, you can't verify the formula on the display. Update: In order to proper power up, i have to remove the backup battery, apply the key combo mentioned above . The combo alway's works without the backup battery so i suspect that the circuitry of that may be damaged... More work..
My HP is one of the very early ones and has the backspace bug! I love the horizontal format of those HP calculators but I've never been convinced that RPN is better. For daily use I'm torn between that one and my (non-RPN) HP20S (they're both on my desk). nb. That's pretty much my entire calculator collection right there. As a collector I'm more into the older analog stuff. I have a couple of HP11Cs, but I didn't know about this bug - I'll test them later tonight. The one thing these HP vintage calculators have that ticks me off is the "CHS" for "Change signal" - IMHO the + / - symbol is easier to catch the eye when looking for such operation. Mine is serial number 2144Axxxxx. That's week 44, 1981. You only need to use it twice to learn it. One of the interesting (to me) things about these calculators is if you look at HPs very earliest desktop calculators you can see an almost identical design to the 11C. eg. If you look at the keyboard of the 1960s HP9100B you can see the same functions, the same "ABCDEF" programming model, the same conditional expressions, etc. as the 11C. I'd be willing to bet the 11C could run a lot of the programs written for the 9100 (assuming they were small enough - the 9100 had optional memory expansions). And, yes, there's a "change sign" key right next to the "7" key! HP must have had a bunch of loyal customers who were resistant to changes in function, they just wanted smaller and cheaper. Yes, plenty of them, maybe too many t!o list. The FX-260/82 SOLAR II for example? I have the 82 SOLAR mk 1, it doesn't seem to support persistent ENG. SCI and FIX yes, not ENG as far as I know, happy to be re-educated! I love the horizontal format of those HP calculators but I've never been convinced that RPN is better. I'm right there with you on RPN -- Between RPN and standard AES (with order of operations and parentheses), I think it's a wash. Everybody gets hung up on keystroke comparisons, but those are only significant compared to VPAM. I'm not a fan of VPAM, but overall I think which notation you prefer is just based on which you learn first. For me, that's AES, ideally on that lovely TI-36X of mine. Maybe the best way to describe the mode of thinking between RPN and AES is that RPN thinks like a computer works, while AES thinks like math works. VPAM doesn't seem to think at all--it's just "copy the formula from the book".